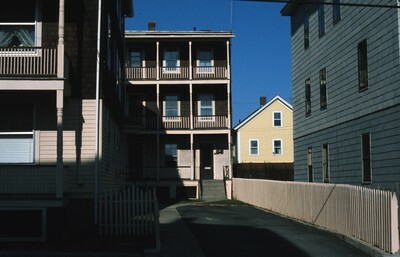 Clustered apartment housing in Central Falls was necessary to accommodate a rapidly growing population at the turn of the twentieth century. The population boom was due to a booming textile industry. Smolski, Chet, "Triple-deckers; one in back of garden" (2011). Smolski Images. 182.